I'm going to share the best thing for you to stock up on for July. 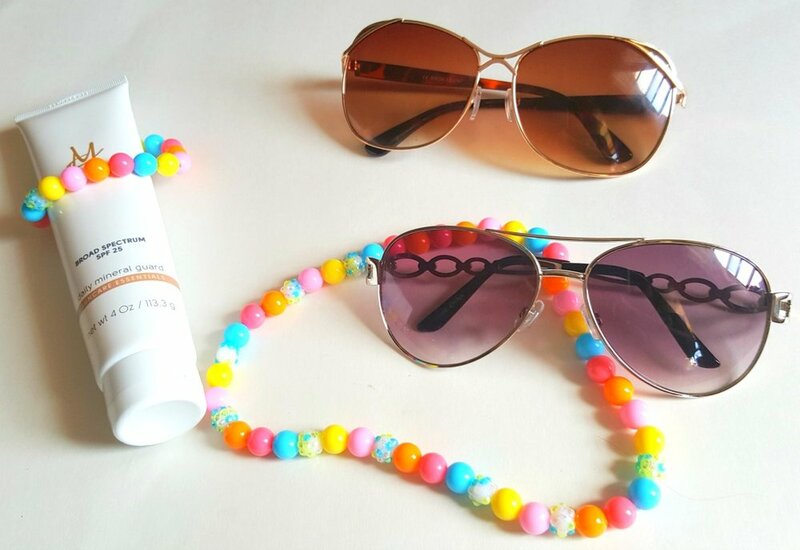 You should really get your hands on these super cool sunglasses that put UV rays on lockdown! When it comes to my sunglasses, I try not to spend too much on them. Why? Because I usually scratch, break or lose them. However, thanks to New York and Co I now have cool sunglasses for a crazy-cool price. From textured metallics to animal print, and faux-pearl accents that are 100% UV protection. These sunglasses are under $10 but will protect your eyes in style from the harmful UV rays. What! Sunglasses that are fashion-forward and well-made but economical. You'll buy them for the price but besides the sun protection, style will be the main reason you wear them! Go ahead! Get yourself two, three or four pairs of sunnies so you can mix and match them with your summer outfits, or those new bikinis. Which of these cool sunglasses is your fave?